A comprehensive estate plan is one of the most valuable gifts you can give to yourself and to your loved ones. With that in mind, care should be taken when selecting an estate planning attorney to assist in the design and creation of your plan. At DeBruyckere Law Offices we understand how important your plan is to you which is why we are dedicated to helping our Rockingham County, New Hampshire friends and neighbors create a plan that achieves their current estate planning goals and objectives. Located in the southeastern corner of the state, the area now known as Rockingham County, New Hampshire was first settled by Europeans moving north from the Plymouth Colony in Massachusetts as early as 1623. The government was linked tightly with Massachusetts until New Hampshire became a separate colony in 1679. A century later, in 1779, Rockingham was designated as one of five original counties for the colony. It is named for Charles Watson-Wentworth, 2nd Marquess of Rockingham, who was the Prime Minister from 1765-1766. The original county seat at Exeter, where it remained in it was moved to Brentwood in 1997. The size of the county was also decreased in 1844 by the formation of Belknap County to the northwest. As of the 2010 Census, Rockingham County was home to 295,223 residents; however, its proximity to Boston makes Rockingham County part of the Boston-Cambridge-Newton, MA-NH Metropolitan Statistical Area which has a population of over 4.7 million residents. Estate planning, when done correctly, is a highly personal, and sometimes, sensitive endeavor that requires the assistance of an experienced estate planning attorney. As you move through the various stages of your life, and your estate becomes more complicated and complex, changes will also need to be made to your estate plan in order to keep up. For all of these reasons, it is important to establish a solid and comfortable relationship with your estate planning attorney. 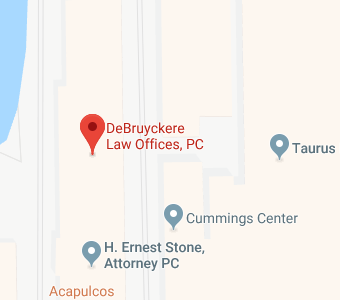 The attorneys at DeBruyckere Law Offices work hard to create just such a relationship with all of our Rockingham County, New Hampshire clients. Your initial estate plan will probably focus primarily on creating a roadmap for the distribution of your estate assets in the event of your untimely death. Subsequently, as you pass through the various life phases, you will likely need to review and revise your plan to keep up with the changes in your life. If you get married, for example, you will undoubtedly want to include your new spouse as a beneficiary in your Last Will and Testament, trust agreement, and/or life insurance policy. Likewise, becoming a parent may cause you to feel the need to incorporate incapacity planning strategies in your estate plan to ensure that your child is well cared for in the event of your incapacity. As your estate grows in both size and value, you will also want to start incorporating asset protection and tax avoidance strategies and tools into your overall plan as well as work toward creating an estate that avoids probate to the extent possible. With retirement drawing near it will likely be time to blend your retirement plan with your estate plan to ensure that they work in harmony with one another. It will also be time to think about long-term care planning, Medicaid planning, and funeral and burial planning if you have yet to do so. If you have estate planning questions or concerns, or would like to get started creating your estate plan, contact the experienced Rockingham County, New Hampshire estate planning attorneys at DeBruyckere Law Offices by calling (603) 894-4141 to schedule your free consultation.